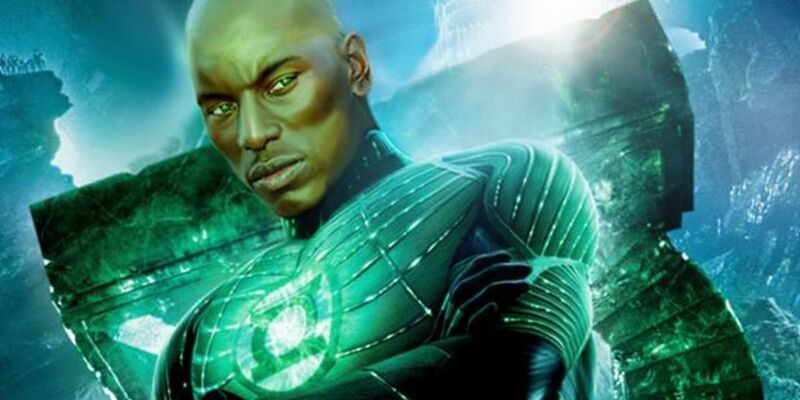 Has Tyrese Gibson Finally Snagged The Green Lantern Role? There’s one inescapable fact that continues to hound the publicity for Justice League, and that is that there’s someone missing. Back in 2015, DC Extended Universe architect Zack Snyder got us all excited with images bearing the caption ‘Unite The Seven.’ That’s because there are seven core members of the Justice League in the New 52 DC Comics, and it’s the New 52 DC universe upon which this movie franchise is largely based. As such, the line-up should feature Batman, Wonder Woman, Cyborg, Aquaman, The Flash, Superman and Green Lantern – but so far, the latter has yet to be revealed. The presence of Superman was questioned when the publicity machine for Justice League first cranked into action – because Batman V Superman: Dawn Of Justice featured his funeral, and he wasn’t shown in any footage or images. But, then he began to appear, and the team was almost complete – save for the inclusion of Green Lantern. This fact has been used to great effect by Man of Steel actor Henry Cavill, who can often be found teasing the character on social media, to the delight of fans. It’s also not gone unnoticed by the star of the Fast And The Furious franchise, Tyrese Gibson, who has consistently and publicly been lobbying for the role since at least 2015. We know that Green Lantern is due to join the team at some point, because a Green Lantern Corps movie is planned for 2020. We also know that – being a film about the Green Lantern organization – a number of ‘Lanterns’ will be involved, making appearances by characters including Guy Gardner, Kyle Rayner, Simon Baz, Jessica Cruz and John Stewart a distinct possibility. That’s a lot of roles up for grabs, if the movie is indeed intended to present a story centred on the intergalactic police force, as opposed to a single Green Lantern origin story. But although there are three years to wait for Green Lantern Corps, Justice League isn’t Justice League without a Green Lantern character. For this reason, speculation has continued to grow around the question of whether he’ll join the team in the first or second instalment of that story. As is clear from the trailer, the first Justice League film apparently features the early stages of the team’s dealings with the forces of extra-terrestrial villain Darkseid – which would make this fight exactly the kind of conflict that would require the assistance of a Green Lantern. But, if this story is set to play out over the course of two films, then perhaps Green Lantern is in reserve until Justice League 2. Whatever the case may be, Tyrese Gibson has now whipped that speculation into a further frenzy, with a single Instagram post (seen below). Depicting himself as a Green Lantern, with the caption, “It’s time,” the actor has sparked queries as to whether he’s actually landed the role of John Stewart, and will be appearing in the second Justice League film, or whether this is just simply another step in his quest to join the Corps. Either way, it’s certainly about time some Green Lantern casting deals were officially announced, and you can bet that we’ll be watching the horizon closely for incoming news.